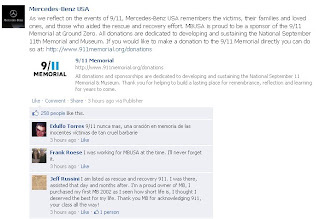 I was curious what messages brands were putting out there today regarding the 10th Anniversary of 9/11. Only 15% of the 45 automotive Facebook pages I reviewed marked the day with a somber, respectful message. 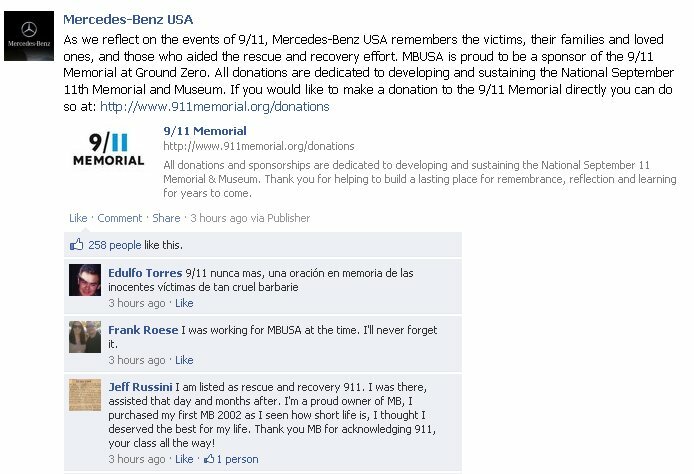 The good news is that I only caught one minor spat in comments on the Mercedes Benz USA fan page where one fan said it was "an inside job." 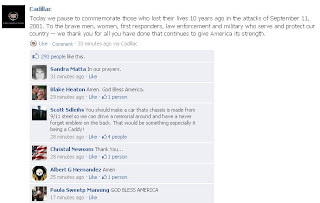 Other than that, people responded with positive appreciation or their own memory. I definitely had a certain lens on when looking at each of the brand pages. It was just a little odd seeing the most current post promoting a new car, handbags at NY Fashion Week, or something unrelated. Of course there is the flip-side argument where brands should just leave the topic alone and let individuals have the conversation in social media. 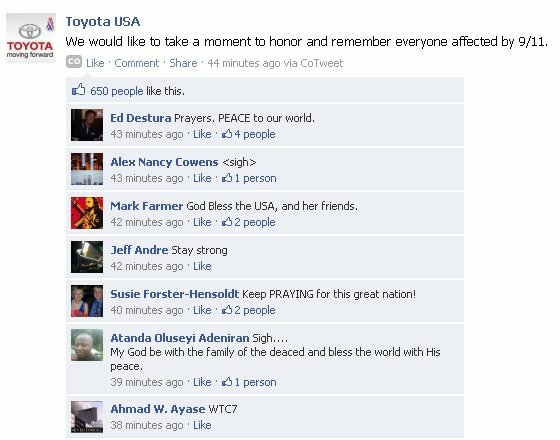 Fortunately, the seven brands that did mention 9/11 did so with respect. 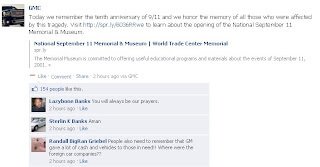 There was only one slip-up by Acura who had a nice simple message, but then added a link to their home page which had nothing to do with 9/11; instead, it brought the user to the latest promotion for the "Newly Refined 2012 TL." 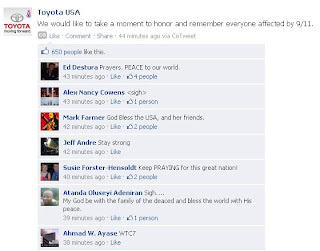 Here are the status updates from Acura, Cadillac, GMC, Infiniti, Lexus, Mercedes-Benz USA, and Toyota. There are certain days and situations in which it just isn't appropriate to promote your product or services. 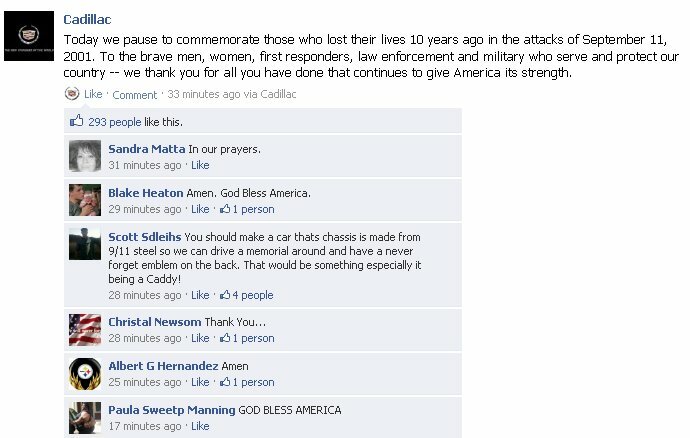 All of the above messages seem sincere.